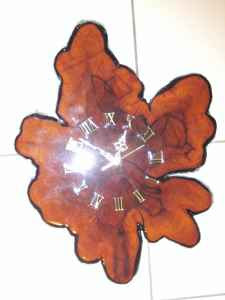 Guest: Hey is that clock made from trunk of tree? If that is it I am not sure I would call it "a wonderful conversation piece". Could you please send me a transcript from a conversation which has progressed a little further than that? Here's an alternate conversation that's 90% percent longer. Guest: Hey, did you actually buy a clock made from the truck of a tree? Me: Why yes, I did.